Create texture and drama in any space by exposing a brick wall. 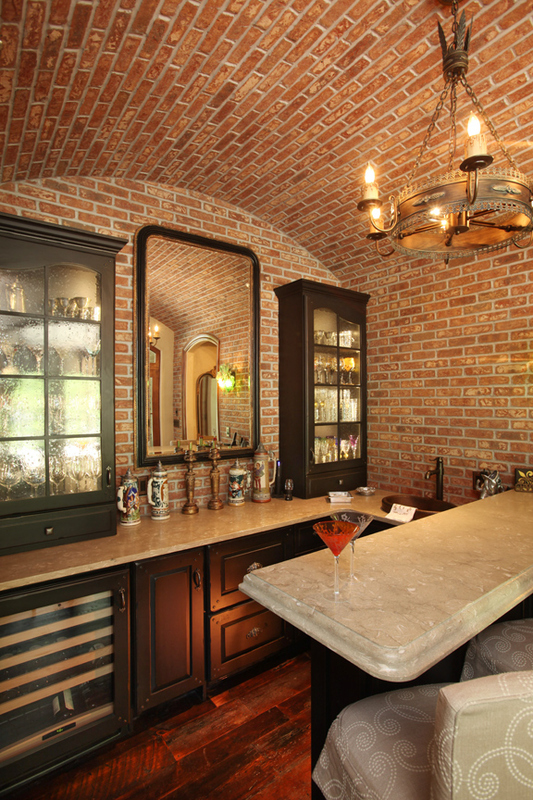 Custom bar and barrel ceiling by Spencer Brickwork, Inc. Bricks supplied by Richards Brick Co. Stone supplied by Earthworks. Photography by Mike Marxer. 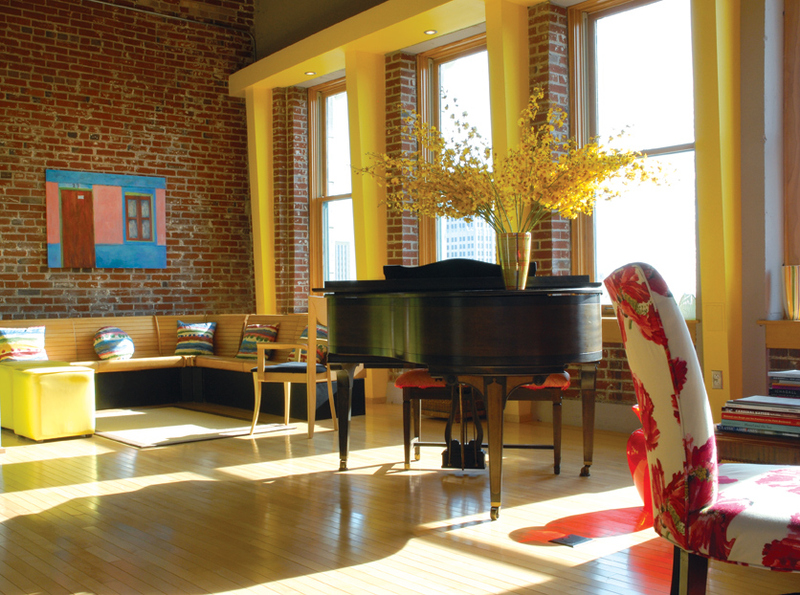 Homeowners and designers everywhere are taking a modern approach to an age-old traditional trade by exposing and restoring brick accent walls in homes, condos, lofts and more. A brick accent walls add character to a space. The design element soared in popularity in the late 1900s, as it was less expensive to expose the brick than to repair or replace the wall. Today, the look is versatile with all design styles, whether traditional or contemporary, as well as in most spaces in your home from kitchens to bathrooms to living areas. Brick will blend with most color schemes, and exposing the brick on an accent wall adds texture. To get the look, try exposing only one wall or space in your home. 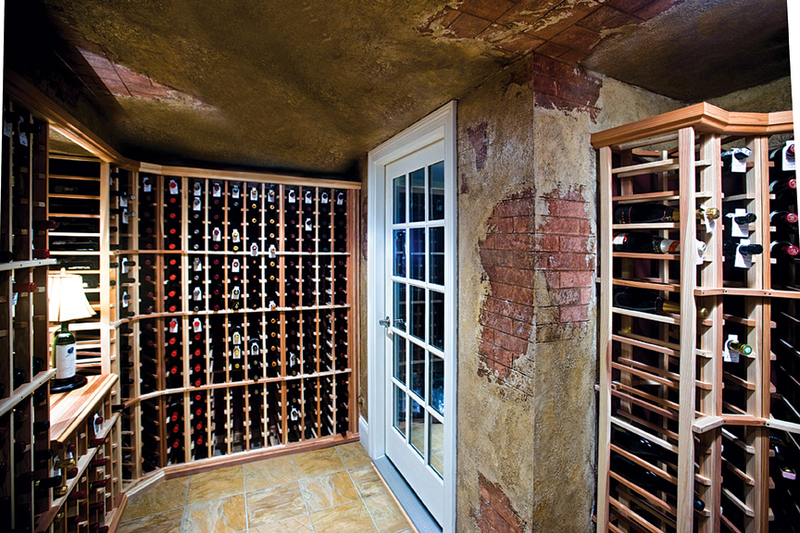 Too much brick can get overwhelming, but utilizing it as a focal point in a room will produce just enough interest. In many older homes, you can typically find brick underneath the plaster walls. Brick has a beautiful, natural quality to it, and while attractive, you don’t have to leave it natural. Most brick can be whitewashed, glazed or painted to better complement your existing décor, or try exposing part of the wall and painting the other two sides to give a striped effect. No matter the space or style, incorporating brick into your décor will add a fresh, attractive focal point to your home.